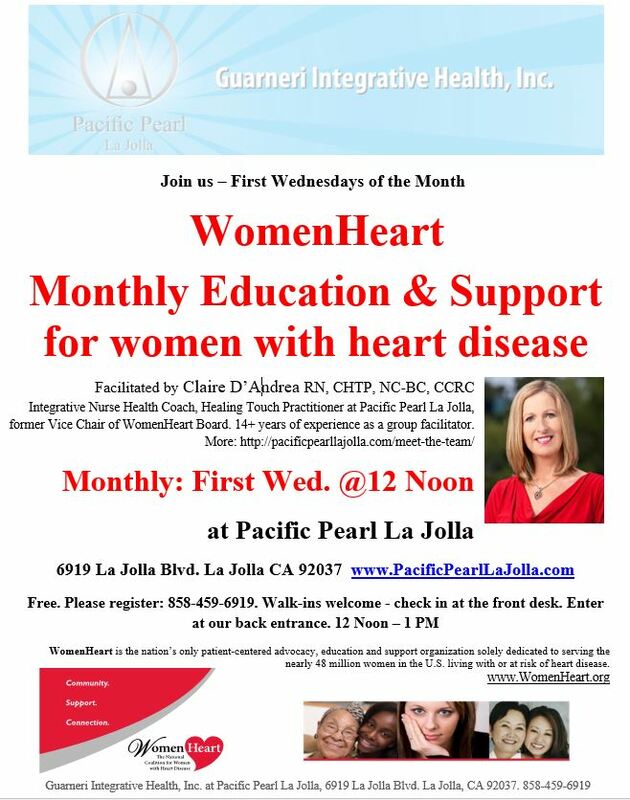 Facilitated by Claire D’Andrea RN, CHTP, INC, CCRC, Guarneri Integrative Health, Inc. team and WomenHeart Board Member. 14+ years group facilitator. Register (free) 858-459-6919.